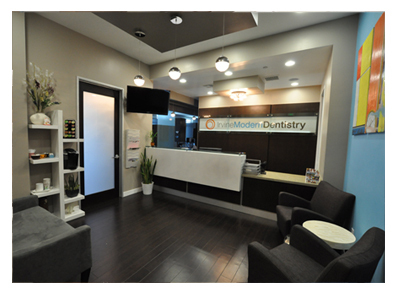 At Irvine Modern Dentistry, we've designed our practice with our patients in mind. 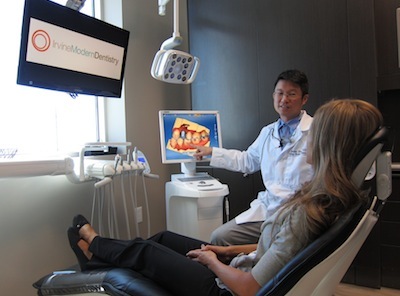 Irvine dentist Dr. Jerome Tsang made a conscious effort to design the practice to not only provide the most advanced care for his patients, but also the most comfortable experience for them when they visit. By combining these two elements, we strive to provide the absolute best for our patients. We are truly caring about our patients and want you to feel comfortable during your entire visit. We strive to be thorough in everything to ensure we provide the best possible care. During your initial visit, we will take the time to get to know you and discuss your dental needs and desires. We will perform a comprehensive dental evaluation and gather information to make a customized plan that fits you. This may include x-rays, oral cancer screening, gum evaluation, pictures, 3D models and videos. We look forward to welcoming you into our Irvine Modern Dentistry family!